Pottery Shirts - By potters, for potters. You can take an extra 10% off your first order when you sign up for the email list. Sign up here! 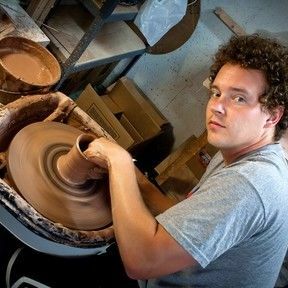 PotteryShirts.com features shirts designed by fellow potters and ceramic artists. I started this shop to sell some of my own pottery shirt designs. Any purchase you make helps support a real person. Do you have a design that you want to sell here? Contact me and I'll send you the details. © Pottery Shirts - By potters, for potters.